Over 350 cards and 6 factions to choose from. Summon minions and cast devastating spells. Get ready for epic turn based tactics style battles. Choose your race and get ready for other simple yet important decisions. 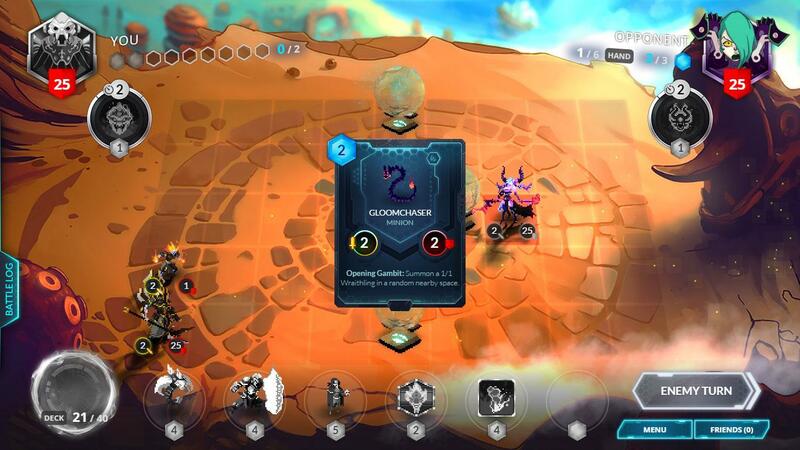 Duelyst is a tactics style card game wherein you launch units, spells and equipment in order to best out your opponent in a turn-based strategy setting. Get ready to face countless opponents into this fantasy world. It may be simple to pick up but it seems to be also full of tactical depth and beautiful animations. Matches are played on a five-by-nine board on which players can summon units and as well as control their own general as well. The game uses a mana system in order to cast spells, summon minions and as well as equip items which may aid you in battle. Mana will be passively gained each turn and may also be acquired by capturing mana springs. A general will have its own unique Bloodborn spell depending on the faction and a game will end once the general is eliminated. 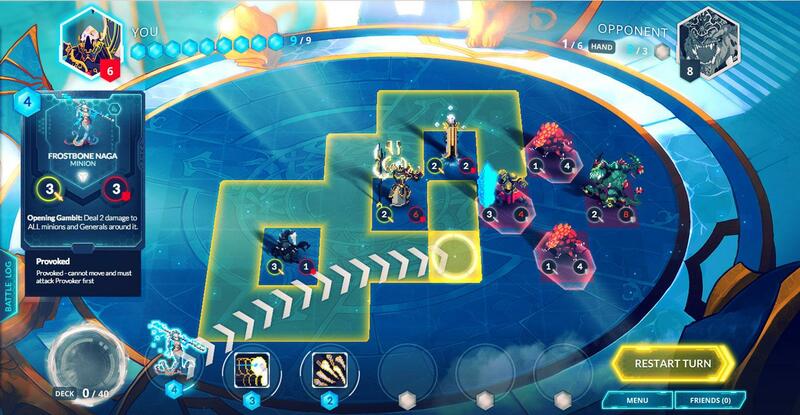 Duelyst uses a turn-based strategy board placement take on the card game genre. Players will be able to move their general and other units on the board and will be able to summon units a few squares adjacent to friendly units. There will be different kinds of units with its own move sets, damage, health bar and movement type. Most units will only be able to move a few squares while flying units will be able to move anywhere on the map. There will be many different moves that a player may take per turn, they may choose to move towards mana springs to secure them or they may choose to deploy units or even move to a strategic location to attack opponents on the next turn. Summoned units will require certain mana points and it may be challenging at first which units will be the ones that will provide you with a lot of strategic value, and summoned units will only be able to move or attack on the next turn. It may also be challenging at first which units to prioritize since ignoring a low value minion may be more beneficial since units will be able to counter attack if they are targeted. There are neutral cards and six factions to choose from, each with its own unique play styles which comprises the 350-plus card pool. Players will be able to obtain cards by winning battles or they may also obtain cards by obtaining or purchasing Spirit orbs. Players will have a lot of freedom in building their own deck. And since the game is still pretty new, there is currently no Meta. Duelyst features high quality pixel art for its units and as well as non-pixelated graphics for the battlefield and User Interface. The art style just looks amazing and it would be largely due to its dynamic lighting system. And it has some pretty amazing sound effects and background effects to add to its fantasy aesthetics as well. The game does lack some RNG, which is pretty good in my opinion since you will be able to calculate each move which will lead you to the path of victory. There is currently several game modes which you will need to unlock in order to progress. You will be starting off against off against bots to give you a fair grasp on the game and as well as a bit of story to add some depth. And then go ahead other players online and the ranked system once you are ready. There are new cards added each month and large expansion packs that are already in development. 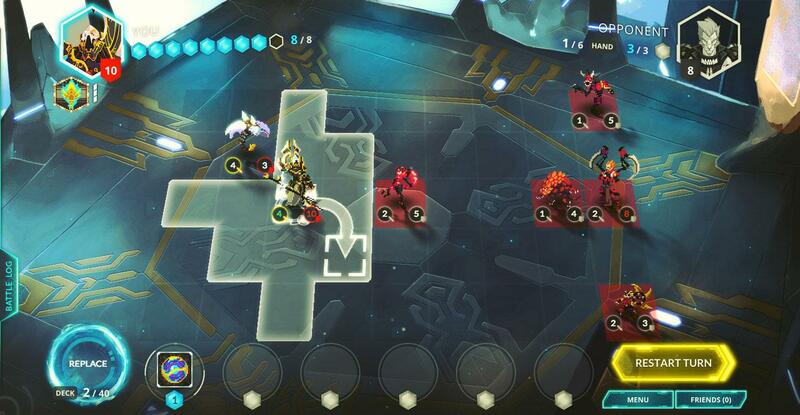 Duelyst definitely is an amazing game to try out and it is pretty simple to get into but there seems to be a high skill cap and a lot of branching decision making involved. So just try it out for yourself, it is free on Steam. Just build your own deck and have fun with it.